Today I would like to introduce a new offering, which helps customers to discover the value of the different functional areas of SAP Solution Manager. 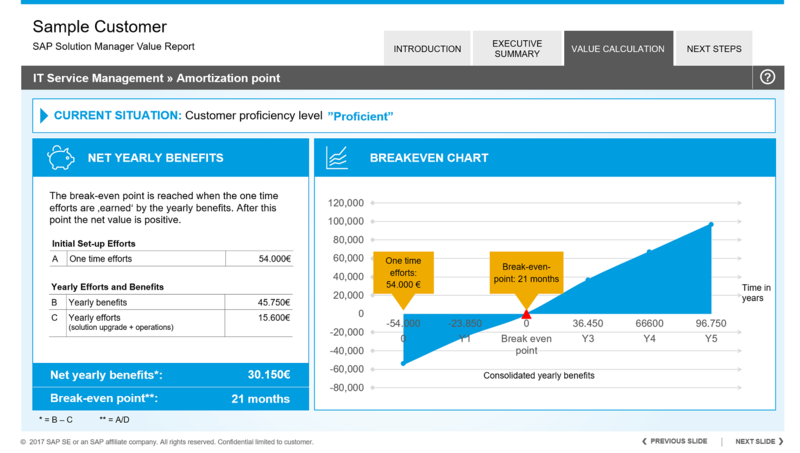 It’s called “SAP Solution Manager value report“. Take a few minutes to share your selected information and you will receive the foundation for a SAP Solution Manager business case. 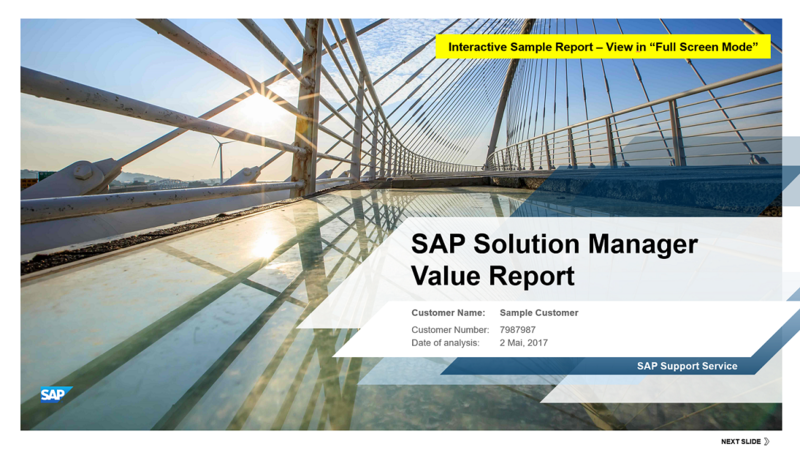 With the results report you can easily identify the most beneficial functional areas of SAP Solution Manager. In the report we compare your situation with best-practice experiences from other SAP customers and SAP partners. What are the later operations cost? Questions? Contact us, or view a sample report. It’s just a great service! We got to know our gaps in applying Solution Manager even we are using apps as Best Practice solution. Now we are eagerly expecting the report.